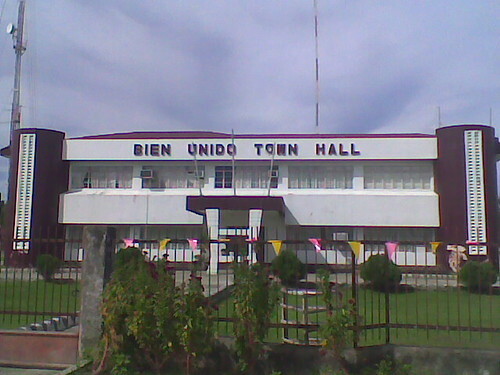 The Municipality of Bien Unido was once a barangay of the municipality of Trinidad. Way back in 1935, two sitios in northern Trinidad were united into one barangay under an executive order and given the name of Bien Unido, a Spanish word meaning “well united”. 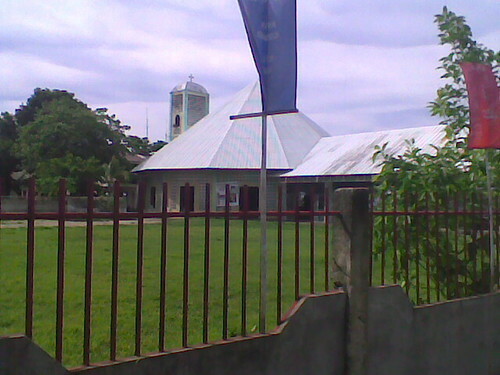 Barangay Bien Unido aspired to become a municipality since 1965 in order to hasten its economic, social, cultural and political growth. Finally, it was established as a town on December 15, 1980 by virtue of a bill approved by the Batasang Pambansa and by Pres. Ferdinand E. Marcos. This was further ratified by the people concerned on April 7, 1981 in a plebiscite called for such purpose. This is the 47th municipality established in the province composing 15 barangays and the islands of Cabantulan and Labongon; such barangays coming from the adjacent municipalities of Talibon and Trinidad. It is 108 kilometers distant from Tagbilaran City via the Loay road. Bien Unido is now considered as a 5th class municipality covering an area of 4,482 hectares which is politically subdivided into 15 barangays, namely: Bilangbilangan Dako, Bilangbilangan Diot, Hingotanan East, Hingotanan West, Liberty, Malingin, Mandawa, Maomawan, Nueva Esperanza, Nueva Estrella, Pinamgo, Poblacion (Bien Unido Proper), Puerto San Pedro, Sagasa and Tuboran. The recent 2007 census has pegged its population to 23,412 people who are mostly into fishing, farming and mat weaving. Fishes caught are brought and sold in Cebu while mats have markets in Mindanao, Leyte and Cebu. The people are also into seaweeds farming – an industry which is becoming the main livelihood of the people. 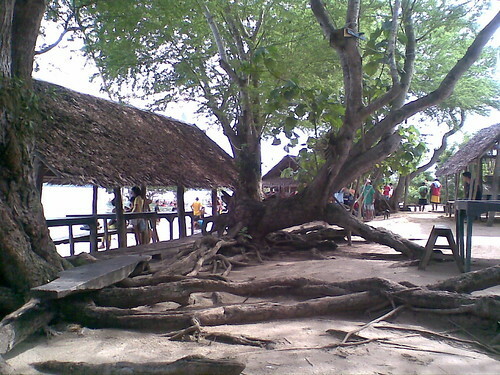 In fact, Bien Unido is now known as the seaweeds capital in Central Visayas. The seaweeds are either made into gel capsules, soap, toothpaste, slippers and other plastic wares. 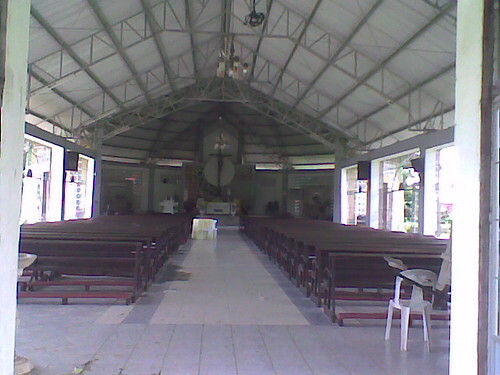 The majority of the inhabitants of Bien Unido are Roman Catholics and much of their faith revolves around their church whose feast day falls on December 28 and advocated to the Holy Child Jesus or the Santo Niño. The Santo Niño is said to be miraculous and the image is growing, a fact that is gladly attested to by the inhabitants of the town. The town boast of a few powdery white beaches, unpolluted crystal clear waters, and accessibility to its part of the world-renowned Danajon Double Barrier Reef, vast rice fields and rolling hills. It is still relatively unexplored but definitely a worthy tourist destination for trekkers, beach and sun worshippers and divers. It is worthy to note that the present government of the town are into the preservation of its coastal resources and are seriously implementing coastal resource management programs to address local ecological issues. It is also geared towards the further development of basic infrastructure such as the town’s water system, farm-to-market roads, agricultural pursuits and more. It would not be long before the municipality of Bien Unido can compete with or even better that of what its neighboring towns have achieved in terms of development and income.